Rauschenberg had never seemed anything less than enthralling to me since I was a student of art history at JCCC, while simultaneously working backstage in JCCC’s Yardley Hall. When the Merce Cunningham dancers visited for an entire week, an enormous Rauschenberg artwork (valued at $1 million) was suspended from the rail of the third floor of the Carlsen Center. My colleagues at the theater and I mused about the size, value and meaning of the work. This firsthand experience with a real Rauschenberg changed me. I would never forget his name. I would never forget its monumental size and I would never forget the impact which seeing original art can have on a blossoming student. It goes without saying that a projected image or reproduction can never do justice to a real work of art, yet that is precisely what I attempt to do each semester. How can I do justice to centuries of art taken out of their context and illuminated on screens that distort color, size and shape? 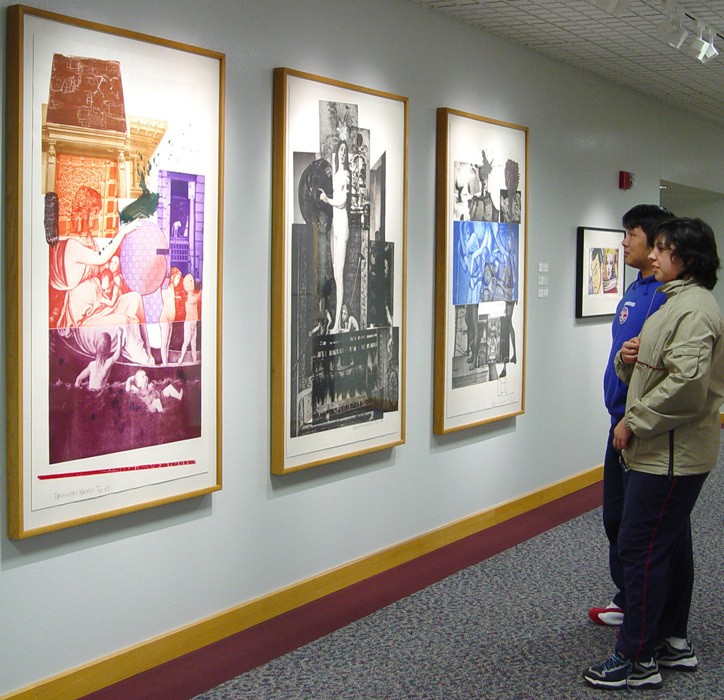 My early exposure to art at JCCC led me to a lifetime of seeking familiarity with art. As a student, I was enrolled in an art history class that met on Tuesdays in a college classroom. On Thursdays, however, our class convened at the Nelson-Atkins Museum of Art to study firsthand the masters we knew only through our textbook and projected images. As I paraded my curious students down two flights of stairs to see the actual Rauschenberg prints in the flesh, as it were, I knew that this was the key to engaging my students. 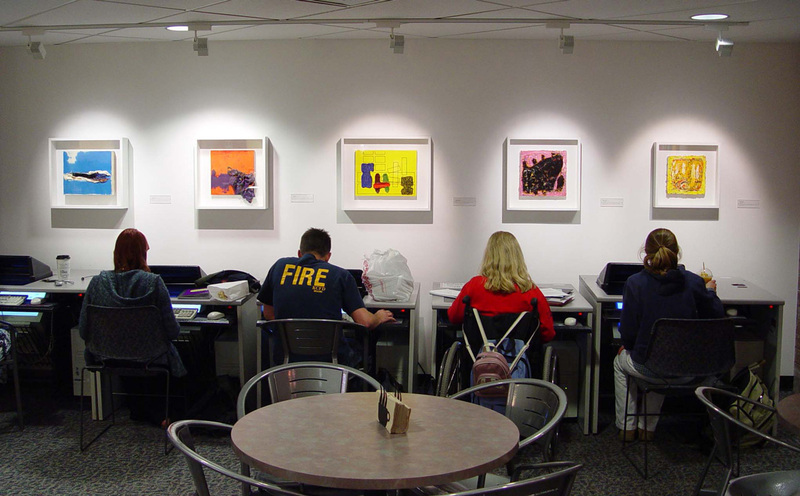 They had been passing major works of art in the halls of campus buildings all semester. But I wanted to make them aware, to see and appreciate the art. The Nerman Museum of Contemporary Art is an immense source of pride for those who know the treasures it holds, but fewer realize that our unprecedented museum Collection Focus Areas around campus boast hundreds of works by renowned artists in numerous buildings! The following semester, I booked a docent-led tour for my class, and we explored the many sculptures on campus. Comments from students included, “I never saw this before . . . I can’t believe it was here all the time,” to “I’ve passed this a million times and wondered what it meant.” I sensed a familiar thrill, the thrill which comes from an encounter with art. No longer an image in a book to be memorized for its date and artist, the original artwork becomes a memorable physical encounter for the students. The essential component is firsthand exposure to actual works of art. Art is not just made to illustrate textbooks; it can be experienced. 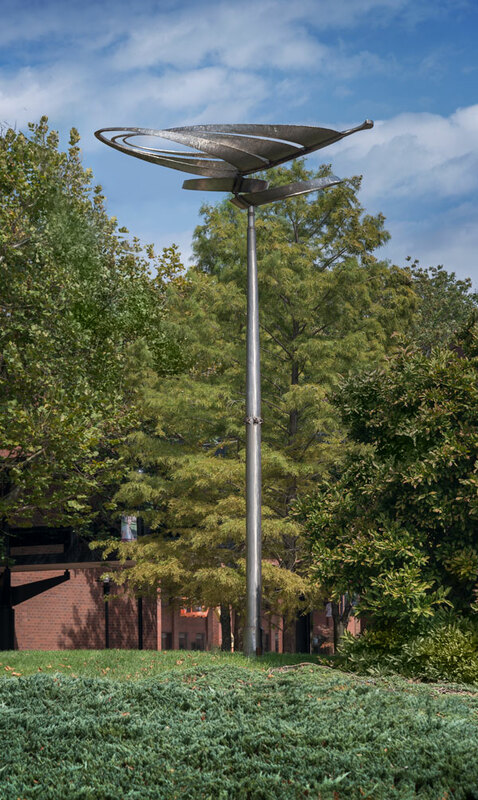 Students watch the kinetic sculpture Flight of Imagination by Grant Kenner as they pass across campus and muse how it is ever-changing with varying wind conditions. Every semester students gather at the Fountain of Knowledge, by Jesús Bautista Moroles, a peaceful granite sculpture with a subdued flow of water. When art history students stop at Moroles’ sunken plaza, Nerman docents show an image of the ancient Sumerian “Nanna Ziggurat,” ca. 2100 – 2050 BCE, so students can compare and contrast the historic textbook example located on the other side of the world with the contemporary work they are experiencing in person. Students in Renaissance to Modern art history survey classes learn that a fieldtrip to the Nerman Museum not only broadens their knowledge of contemporary artists, they connect specific historical works with contemporary counterparts on docent-led tours. When we are facing Angel Otero’s 10 Karat Still Life painting, the docents show reproductions of a 17th-century Dutch still life painting from our class textbook — Clara Peeters’ Still Life with Flowers and Dried Fruit. We also talk about Kehinde Wiley’s Alexander the Great (Variation) in comparison with Baroque portraits, namely Hyacinthe Rigaud’s Louis XIV, and at Wilbur Niewald’s View of West Bottoms we draw connections with Jan Vermeer’s View of Delft. The power of being surrounded by art in an academic institution should not be underestimated. The power of an encounter with art will have lasting effects. The Nerman Museum and JCCC campus are a gem in the Midwest and a source of art encounters every day — and of countless more waiting to happen for students, staff and visitors.